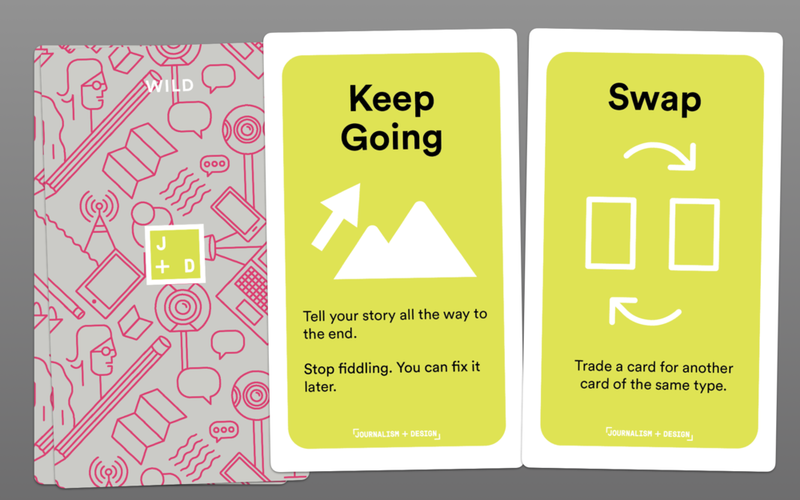 Journalism + Design Cards have bite-sized prompts to use in the classroom and bring out the best in your students as you guide them through a storytelling project. Open-ended prompts for all phases of the process, from initial research to reflection. Constraints from headline to full story, plus a range of storytelling formats beyond text. Limits can encourage low-stakes experiments that stretch the mind and foster creativity. Sometimes everyone needs to be told to persevere — or to start again.